Wing King IV Sponsor: Fashion Forward Consignment Boutique! It is a great pleasure to include Fashion Forward resale boutique as one of the gracious sponsors of Wing King IV!! 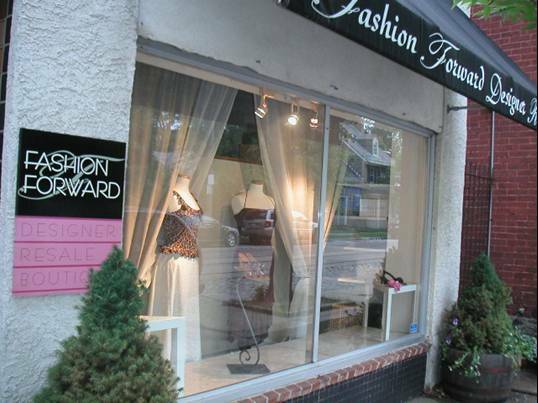 Nestled at the bottom of Chestnut Hill, at 7906 Germantown Avenue, Fashion Forward is no regular Consignment shop. Ayana Hamilton, the store’s owner selects only “gently worn” designer garments for sale to her customers. Whether St. John, Yves Saint Laurent or Marc Jacobs to name a few, Hamilton’s sharp eye for high fashion brings you haute couture for a fraction of the cost. Turn some heads this summer without breaking the bank!!!! This entry was posted on Monday, May 21st, 2012 at 2:48 pm	and posted in Sponsors, Uncategorized, Wing King. You can follow any responses to this entry through the RSS 2.0 feed. « DJ 2 Tone Jones to Spin at Wing King IV! !